Is there anything better than the smell of a live Christmas tree?! Picking out our tree every year was one of my favorite holiday memories as a child. We really wanted to start some new family traditions this year so we ditched our fake tree during The Great Purge right before we moved and never looked back. Our tradition is to decorate either Thanksgiving evening after dinner or on Black Friday. This year we were scheduled to depart for a Christmas Disney vacation a few days after Thanksgiving & decided to decorate a little early. It was so nice to come home from vacation as see the twinkle of the tree through the front window as we arrived home! We've been working on lots of projects since I last posted. Brett ran power out to the barn. He did an excellent job and now has a fully functioning workshop! We've also completely renovated Baker's new big boy room upstairs. We have a few small details I'm finishing up there, but hopefully I can reveal the whole thing soon! We've already moved him in and I think he's really enjoying having his own little space that's just for him. 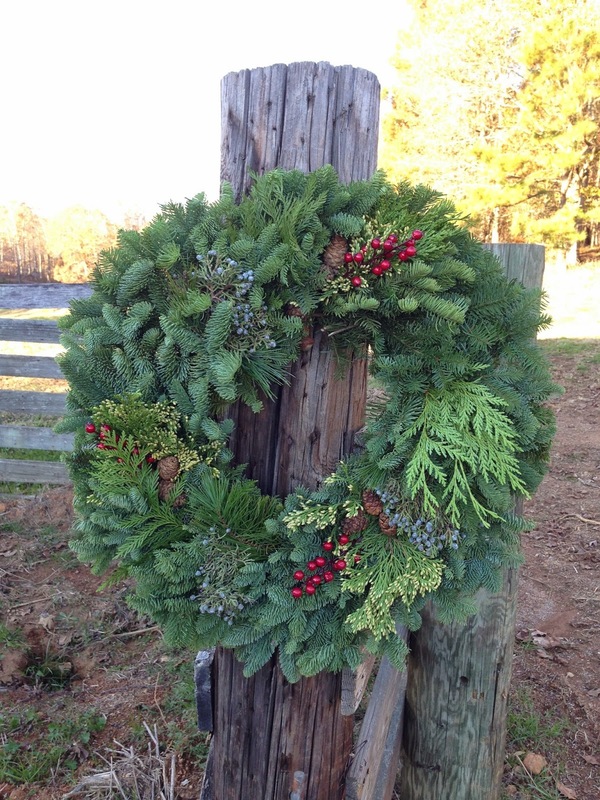 Here's a peek at how we're spending our Christmas on the farm this year! I've included a really easy "recipe" you can use to help keep your real tree alive longer. Scroll to the bottom for some great tips on Christmas tree preservation! Wishing you Warmth, Joy and Happiness this Christmas from our family to yours..
Brett made the star tree topper out of old wood from the barn. It feels special and it's one of my favorite pieces this year! The Christmas tractor.. Baker's favorite Christmas decoration. I researched several concoctions to help preserve our tree this year. Some swear by the commercial preservatives. Some use sprite, corn syrup or even aspirin. Some just use water. I mixed a solution of 2 quarts of water, 2 cups of light corn syrup, juice from 1 whole lemon, and 2 tbs of bleach. You can mix a large batch and store it in a sealed container to use throughout the holiday season. Make sure to cut the bottom of the tree trunk before you put it in the stand. Tree sap will seal the bottom of the trunk after it's cut and will keep your tree from soaking up water. Experts say this process takes about three hours before the sap hardens. Most tree farms will trim the bottom for you before you leave! We are also using a timer for our lights. Sometimes I love the glow of the tree when I'm home during the day, but most of the time I leave the timer set to turn on for a few hours in the evening so that the heat won't dry the tree out completely. My last tip is just to water, water, water! The best little tool I found this year was a funnel designed JUST to water your Christmas tree! It was only $4 at Home Depot! It has a long, slender tube that slides right into the base so you don't have to crawl under the tree to water it. Genius! So far, our tree is still alive and kicking'... Hope these tips help you, too! Merry Christmas, friends! 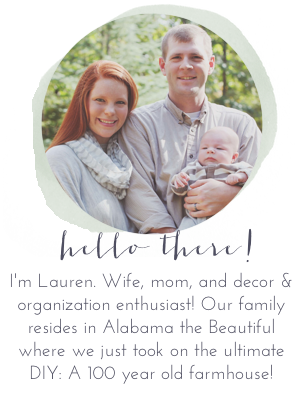 I'm behind on my blog reading, but your home looks GORGEOUS! I've always loved your style! Thank you so much, Caitlin! Happy New Year!